Once upon a time, not very long ago, the worlds of television and cinema seemed totally separate from the internet-based forms of entertainment like video gaming and watching website video content on YouTube. But those days are numbered. When Google led a group of investors to put $35m into web video company Machinima in May, the merging of all things video was confirmed. Machinima (the name comes from game engine-made cinema or video) is a company hard to characterise by traditional methods, but the number of video views it is attracting – 1.9 billion in June alone – is starting to attract the attention of big studios, big-name talent, investors and advertisers. Certainly the Google investment has raised the profile of the Los Angeles-based operation, which was set up in 2004 and now employs 180 headquarter staff along with 4,500 so-called "fan labourers" around the world who together make gaming-style content for the 18 to 34 year-old-males who make up the core gamers' market. To begin with Machinima content was user-generated (UGC), using the passion of gamers – many of them just enthusiastic teenagers – who often recorded their own video game play and mash-ups of shooter games and posted them online. By 2007, YouTube had started to take off and Machinima's co-founders and brothers Allen and Philip DeBevoise changed the focus from their own website to the Google-owned rapidly growing video sharing site. Today, Machinima acts as an umbrella distribution network for a range of channels developed by their network of gamer fans as well as Machinima-produced channels that increasingly have original, professionally-produced content. Machinima is supported by advertisements, but the DeBevoise brothers plan to grow internationally and also to add a subscription service for premium content, much like Hulu.com has added a premium service to its ad-based "free" content site. The subscription service, which is set to launch in early 2013, will allow Machinima to create "edgier" programming with bigger budgets, said Allen DeBevoise. "It's an HBO-like idea but for a bigger audience." Machinima attracts a core audience known by the advertising industry as 'The Lost Boys' because they have traditionally been hard to reach. Part of the ad money raised is shared with the 'fan labourers' who act as distributors and influencers for all of Machinima's content. Machinima has tripled its revenues every year for the last three years, according to the brother-founders. "More and more dollars are moving online and we are seeing an acceleration of that since YouTube held its advertiser upfronts," explains DeBevoise. 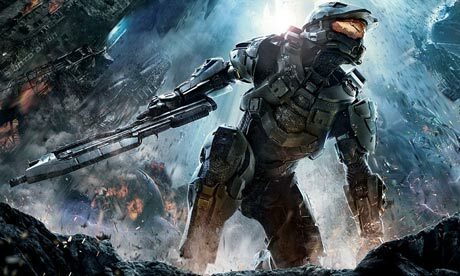 In May YouTube showcased its original content channels to the advertising community in New York, including a new-live action series made by Machinima to promote Microsoft's forthcoming Xbox game, Halo 4: Forward Unto Dawn. "We see ourselves as a kind of new-style MTV for gamers," says Allen DeBevoise. But unlike online music service Vevo, Machinima is not just a category. "We are a demographic." The audience for this kind of content, which majors on games like Call of Duty and Halo and, increasingly, on original content with gamer-friendly themes (think zombies and geeks who save the planet) is huge and seemingly growing. Machinima content is among the top three YouTube destinations and in June attracted 189 million video viewers (monthly uniques) – some 50% of which were from viewers outside of the USA. "We are already a global platform thanks to YouTube," explains Allen Debevoise, company CEO. "We now are moving to better monetise that." The reputation of Machinima among the gaming audience has attracted some famous names. For example, Hollywood director (Fame; Glee: The 3D Concert Movie) gamer Kevin Tanchareon made a short film based on the original Mortal Kombat film, was threatened with legal action by Warner Brothers (who own the rights) but then convinced the studio to let him help re-invent a decade-old brand using Machinima as the online distributor. The partnership created a 10-episode series at a cost of under $3m that attracted 66 million views for Machinima (an average of 3 million audience members per episode) and 500,000 likes on Machinima's Facebook page. "It resurrected the IP for Warners, it led Kevin to be asked to make the next Mortal Kombat cinematic film and we proved that we could drive those kind of big numbers online," says DeBevoise. Other partners who have worked with Machinima on bespoke content include Motorola Mobility, which backed sci-fi series RCVR, Lionsgate Entertainment, which co-produced zombie comedy Bite Me, and US cable network AMC, which created six shorts to promote the second series of Walking Dead. "We are moving from tune-in type programming to creating franchises of our own," explains DeBevoise. "Even if we don't own it like AMC didn't own Mad Men, we want to have the exclusive rights to programme it. We're working on that kind of stuff, on how to create our own Walking Dead." What DeBevoise wants to avoid is being simply an online aggregator of other's content like the original models of Hulu, Netflix and YouTube. "We're all evolving to the stage of owning our own IP," said DeBevoise. "We want to own our own IP and have the rights to it globally." The future for Machinima is not just in the US. It already has a global footprint via YouTube and a huge following, but a focus for the next 18 months is to beef up ad sales and production teams around the world, especially in Europe where some 40% of Machinima's non-US viewing occurs. "We plan to roll out Machinima channels in local languages with local and relevant programming," said Philip DeBevoise, co-founder and president of Machinima. "Our focus is to leverage local directors and channel partners to co-produce." The brothers will be ramping up sales and production offices in the UK, Germany and France with other countries to follow. "We will go where there is a strong and healthy ad community to support the programming and a strong audience," added Allen DeBevoise.